Nerves, Hormones, Homeostasis - Welcome to The Frog Pad! A bit confused about that? Try this Harvard's animation. This is the one I showed in class. Here's McGraw Hill's animation about action potential and nerve impulse. 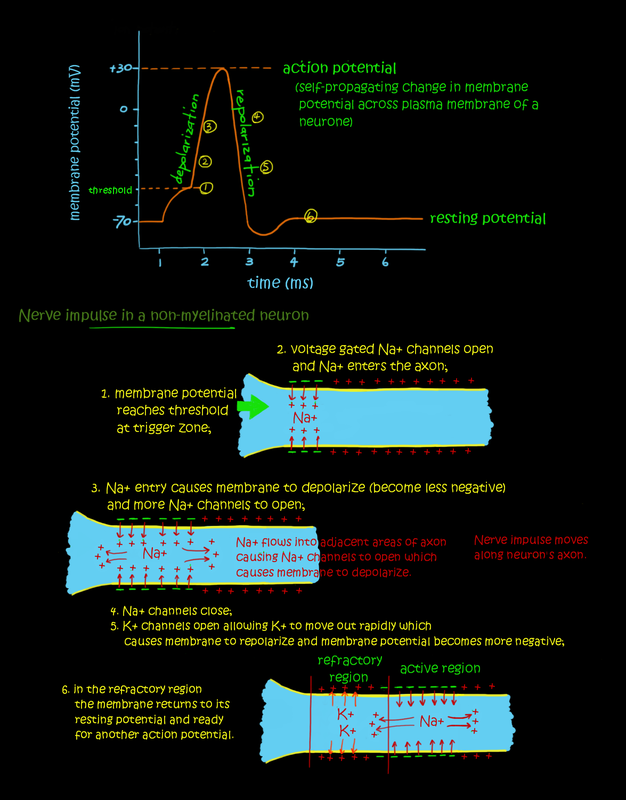 For review of the action potential graph, here is Univ of Alberta's shockwave animation. Below is a medical 3D animation by BioFlix, I believe.